Child’s motivation to speak second language is like chain lube to your bike: it makes other parts of bilingual upbringing flow smoothly. If he would just understand how important it is to speak/read/write in [put your minority language here] he would be motivated to speak it! But does it really work this way? Take a moment and try to remember that time when you were motivated to accomplish something? Now think about what event led you to get motivated about it? And finally, do you remember what did you feel during that event? I felt very motivated to learn how to ride a bike when I was 8 years old. The event that led me to get motivated was when my older sister escaped from me with her best friend on their bikes. What did I feel at that moment? Shame that I could not ride the bike and anger that my sister ran away from me. In two days I was riding a bike like a pro. Another story: I was highly motivated to continue recording podcast episodes after a I took a break. The event that led me to get motivated was when I connected to a lady, who started Ukrainian language group for Australian children because she listened to Bilingual Kids Rock podcast. What did I feel at that moment? I felt proud and important. Having an emotional experience led me to get motivated and take an action. And I am very positive that in your example there was an emotion that sparked motivation. Its not rational understanding but emotional experience that motivates adults and children to take an action. Most of the smokers understand the harm of tobacco, yet continue to use it. People realize that being overweight can cause health issues, yet don’t make changes to their diet or physical activity. So how can we motivate our children to speak our mother tongue? 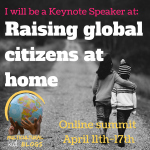 This question was asked by Rita Rosenback, the founder of Multilingual Parenting, for the Multilingual Festival. Check out other great articles over here. If you want your child to stay motivated to speak your mother tongue, embrace his or her emotions and feelings. Note: I use both terms – emotions and feelings. Even though related, they are not the same. 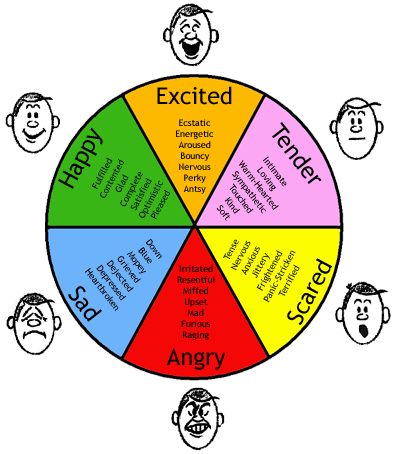 Emotion is very intense and short experience, vs. feeling is low-key and sustainable one. Consider a mother who loves her child unconditionally (feeling), but felt very angry (mom’s emotion) with him when he throw tamper a tantrum (child’s emotion) in the grocery store.Emotions are collected by our subconscious and create long-lasting feeling overtime. We, bilingual parents, need to make sure that love of speaking several languages will be long-lasting feeling for our children. So now on, instead of only talking to our kids’ minds lets also talk to their hearts. Ask yourself: what does your child like to do the most? Then give her opportunities to experience her favorite activity in her second language. What about your ten year old spending hours on making origami? – find YouTube tutorials on how to fold origami – in minority language. Infuse your child’s joyful moments with minority language, she will be motivated to continue. Success is a powerful motivation to keep doing what led you to it. Celebrate even small victories: new word learned, book read, grandma could understand your child, first letter to pen-pal and so on. Do you remember how “motivated” you felt when you had fast approaching deadline (like work project, exam or holiday preparation)? Now, we don’t have to create a pressure that comes with deadlines, but creating an event that requires minority language usage can spark motivation to speak it. For example, have a family dinner at your heritage restaurant, where your child will need to order food in minority language. Schedule the event several weeks in advance, let your child know so she can have time to prepare. If your child is competitive by nature, you may try to involve your child in a group of kids who speak your child’s second language (locally or online). It may be beneficial for him to to catch up with other kids in the group. For example your daughter feels frustrated that she has to do homework in minority language. As with all negative emotion, the first things first, we need to acknowledge her emotion. Just let her know that you understand what she goes through by hugging, kissing and restating what she said. Next, ask her questions: “Why do you think it is hard to do homework”? “What can help you to do it faster?” Kids are very capable to come up with great answers on their own! And the best part – they are eager to implement their ideas of fixing the situation of frustration. In other words, they are motivated to continue learning. My 7 year old became very interested in speaking more Ukrainian (usually she speaks Russian with me). She felt very sad for Ukrainians to go through a lot of political and economical trouble. Her sadness turned into compassion and then into determination to learn more about Ukraine and speak its language. Here is the handy wheel of emotions to help you recognize them and embrace to get your child motivated. Negative emotions are tough both on kids and parents, but they need to be accepted and acknowledged. This way a child will feel parental support and will be motivated to change things for better. In their book “How To Talk So Kids Will Listen And Listen So Kids Will Talk” Adele Faber and Elaine Mazlish lay out step-by-step guide how to do it. Unfortunately, motivation wears out. Its a fact. That is why in most gyms January is the busiest month (New Year Resolutions) and in March you hear crickets. But don’t give up if your child does not feel motivated anymore, just look for new opportunities to embrace his/her emotions towards motivation to speak the language. And hopefully overtime your child’s emotional experiences will turn into love for languages.